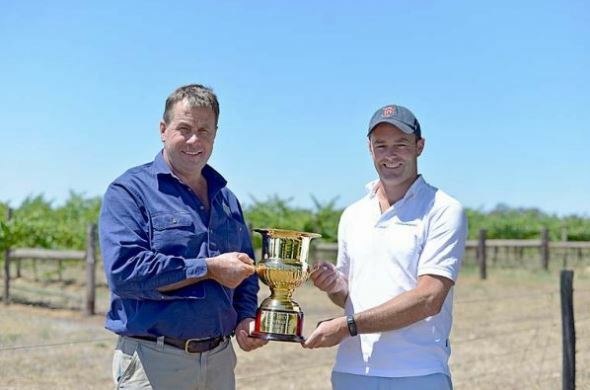 Penola’s population will swell tomorrow as around 3000 spectators head trackside for the running of the 37th annual Coonawarra Vignerons Cup. One of the states richest country race meets at $20,000, punters are expected to travel from across South Australia and western Victoria for the event which remains a highlight on the district’s community calendar. Coonawarra Vignerons Cup committee chair Tim Bailey said the event was a way of thanking everyone involved in the wine industry. “In the Coonawarra Vignerons marquee we host everyone we partner with throughout all levels of grape growing and grape making,” he said. “Attendees typically come to the region a day or two before the race day event, which gives the vignerons a chance to immerse their guests in the region and really get a feel for Coonawarra. It’s so important and we could not put something like this on without the help of everyone in the committee, the CGWIi and the Penola Racing Club.” Mr Bailey said. The Coonawarra Vignerons marquee package begins at 9:30am with over 700 guests enjoying breakfast trackside, and an official welcome by Mr Bailey. Following this welcome a special presentation by CV President Pete Balnaves will take place to induct two new patrons on the day, who highlight the long term commitment to the association and its endeavours. Attendees in the sold-out marquee will also have the opportunity to take part in an Imperial Auction, with eight 6L bottles of Coonawarra’s finest wine up for grabs. Presented in a bespoke wooden box, and specially labelled for the cup, a number of wineries will present their high-rating vintages for the auction. Two beautifully crafted A.P John Coopers’ barrels will also be auctioned. Fashions in the Marquee will again be held, with prizes for best-dressed female, best dressed male and best millinery to be presented on the day by Kate Hastings of Perception Personal Styling and Ashlee Kalantarian, internationally recognised designer, of Ashlee Lauren and Designer Crown Hire.